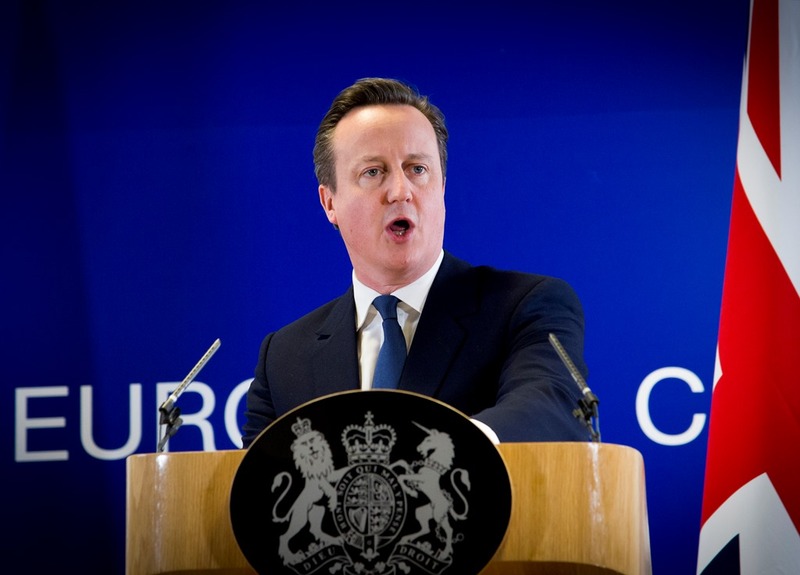 David Cameron’s unenthusiastic, eurosceptical campaign to remain in the EU risks provoking voter apathy and dooming the UK to more years of disengagement with European affairs even if Brexit does not become a reality, writes Denis MacShane. Denis MacShane is a former UK Minister for Europe and author of Brexit: How Britain Will Leave Europe. This week in the House of Commons, David Cameron defended his Brussels deal but could find no warm, enthusiastic words about the EU. It was like listening to a man who had decided to stay in a loveless, lifeless marriage because the price of divorce was greater than the misery of sharing a house with rows over the budget, house rules and who else can be invited to stay. Labour’s Jeremy Corbyn was little better with a long wish-list of what the EU should be doing on workers’ rights (more please), TTIP (no thanks) and measures against climate change (not enough). The most positive intervention against Brexit was made by European Parliament President Martin Schulz on the BBC when he vigorously defended the Tusk-brokered deal and said Cameron had made real progress. But it seems that Cameron will campaign as a Eurosceptic full of grudges and complaints and dislikes. This corresponds with his Business Secretary, Sajid Javid, who wrote in the europhobic Mail on Sunday that it would have been better never to have joined the EEC but now the UK is in Europe we might as well stay. There is a genuine problem with the fact that Cameron and all his chief ministers have spent the last 10-15 years indulging in non-stop criticism of and sneering at the European Union. How do they find the enthusiasm and energy to urge a positive vote, as a purely defensive set of lines on UK membership will not score any points? Boris Johnson showed why he is a poor performer in the Commons despite his wider brilliance as a communicator and writer. Johnson had not worked out the answers Cameron would give to his questions in advance and so Cameron brushed him away easily. In effect, the ‘Boris impact’ seems to have been on the pound sterling which has lost against the US dollar and Euro after the news that Johnson is to throw his weight behind the isolationist campaign. Nonetheless, the London Mayor and former Brussels correspondent emerged at the top of a poll this week asking who was most trusted in the referendum debate. Johnson was on 34%, with Cameron on 29% just above Jeremy Corbyn on 26%. The same ComRes poll, the first since the deal emerged, was carried out by phone, which normally favours anti-Brexit responses, and showed a 51-49 split in favour of Brexit. Cameron is making a major play about getting a future Treaty opt-out from the term ‘ever closer union’ in the preamble of the EU Treaty. In fact, the phrase ‘ever closer union’ was removed from the 2004 Constitutional Treaty. At the time no-one paid it much attention. I was Europe Minister during that period but I do not recall a single Tory MP stating that they welcomed the removal of ‘ever closer union’. Cameron may be making a mistake by placing such emphasis on the term ‘ever closer union’ and the offer to Britain to have an appendix – Protocol in EU speak – whenever the next Treaty is negotiated which says the term does not apply to the UK. As the debate unfolds and voters start to learn more of the detail they will be less and less impressed by the UK opt-out from words that were so unimportant they were previously removed from a draft Treaty. It is still too early to decide how much the Brussels deal and the split in the Conservative Party highlighted by Boris Johnson’s support for Brexit will sway the referendum result. If Cameron is to campaign as a Eurosceptic as he suggested he might in the Commons (arguing one should be sceptical about all powerful organisations) will that result in a positive Yes vote? A new survey by the British Social Attitude organisation shows that many people are deeply sceptical about the EU but not ready to leave. This Eurosceptic yet anti-Brexit group is one that Cameron and Tory ministers are appealing to and suggests that even if Brexit is defeated the UK will not become any more positive or engaged as a partner in EU affairs than it has been in recent years. Will this lack of enthusiasm cause voters to stay at home on 23 June watching the football, the Glastonbury Festival and the Queen’s 90th birthday celebrations instead? Rather than being interested in coming out to support a Prime Minister who seems as keen on the EU as he is on eating a plate of cold curried lamb? Meanwhile, those who are enthused and determined are in leave camps. What was agreed in Brussels and what is said in the Commons seems less and less relevant as the outcome of the referendum will turn on pride and prejudice, not reason or the facts. See that in your morning tea leaves Denis, “the outcome of the referendum will turn on pride and prejudice, not reason or the facts” ? Journalists like you are a euro a gross, always thinking your smarter when things don’t shape up to go your way. Much though I normally disagree with Mr McShane, I think he is absolutely right here. There is no emotional attachment to the EU for the overwhelming majority of voters in Britain even in the pro camp. To illustrate the point the cabinet minister Sajid Javid said it was with “a heavy heart and no enthusiasm” that he would vote for remaining part of Europe. He went on to say “For me, this referendum does not have to be a once-in-a-generation event. The fight for reform is not over and if Brussels fails to recognise that, I can see a time when walking away may be the right thing to do.” These are the words of a Yes campaigner! We have already seen senior business and military leaders take diametrically opposed positions on the need to stay in or leave the EU. In short the country and virtually every group is split on the subject. Imagine waking up on the 24th June and discovering the remain camp has won 55% v 45%, the UK will still be outside the euro, Schengen, most JHA matters, fiscal compact, banking union, ever closer union, with benefit restrictions, protected from EZ matters and with the referendum lock still in place. Does anyone seriously believe that we will henceforth stop being the awkward partner? It is naive in the extreme to believe that ‘operation fear’ can deliver the UK to the EU as a fully engaged positive partner. To achieve that you need the EU to become precious to people, and having failed to achieve that for 40+ years what will change as we slowly become ever more detached? On the bright side we may vote No, in which case both sides can establish favourable relations relating to trade and other mutually agreeable matters without the dead hand of a failed political construct hanging over us. I would suggest this is the best option for both sides. BREXIT – THE ‘REAL’ TRUTH with the UK’s EXIT and where we shall be BETTER OFF Economically ! Therefore if the people want to know the ‘real truth’ about how the exit from the EU will affect us all economically, listen to what one of the world’s leading economists says. Apparently our politicians have not a clue about the real truth. Professor Patrick Milton tries to educate them, but when they don’t like it they keep disappearing like flies. That is the truth about why the people are not learning the truth, because our political elites just do not listen or want to listen. It makes you think at the end after listening to this Foreign Policy Committee, that they have personal vested-interests with EU?